India has long been in my list. It’s such a mystical country filled with history, culture, and beautiful stories. However, it’s also notorious for stories that easily scares off solo female travelers like myself. I am one of the thousands that are highly intimidated, but I won’t let that fear get in the way of me and India. That said, I’m beginning my research and planning for this country and I thought writing about it will serve as my basis for everything that I want to do, and I’m going to start it off with this. Everybody knows of the golden triangle– Agra, Jaipur, and Delhi. It’s where most tourists make a beeline to when going to India. But with that said, it’s also known for the chaos and unpleasant stories. So with all the early research I’ve done, I figured, if you’re not ready for real hustle and bustle of India, why not start off with the lesser known destinations in the country first? It is, after all, a pretty huge country and each region offers different things to learn and witness. So to get it started, why not Kerala? Kerala is located southwest of India. Known to be the spice trade capital in the past, Kerala is home to beautiful mountain views, white sand beaches, exotic animals, tea plantations, and mystical charm that will surely captivate travelers. But why Kerala? Let me give you the five reasons that basically had me right away. If you’ve been reading my blog, you know I’m a sucker for beaches. When I look for potential destinations, I always check if there are possible beaches in the area. Kerala is high up on my radar because of this. White sand beaches along the Arabian sea just sounds like the exoticness I need in my life. There are plenty of resorts that will lure you in and would possibly make you not want to leave. Hammocks, cocktails, and Arabian sea breeze? Why go anywhere else?! What’s better than a province with beaches? Province with both beaches and mountains! 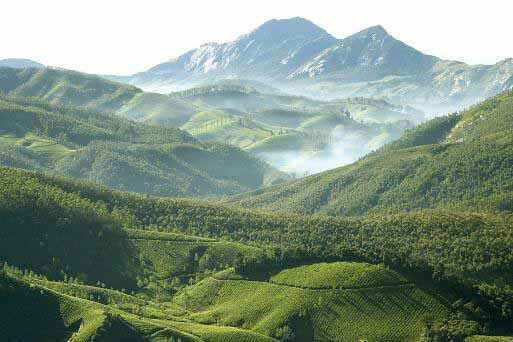 In Kerala, nature lovers will be spoiled with everything the Western Ghat mountains has to offer. Indulge yourself in lush views and mountain breeze as you stroll along its rustic villages. Perhaps you could also enjoy a hike to their waterfalls and go all out with the extreme nature experience. It’s one of the best things when you get out of the city– you get exposed to the wildlife the country has to offer. 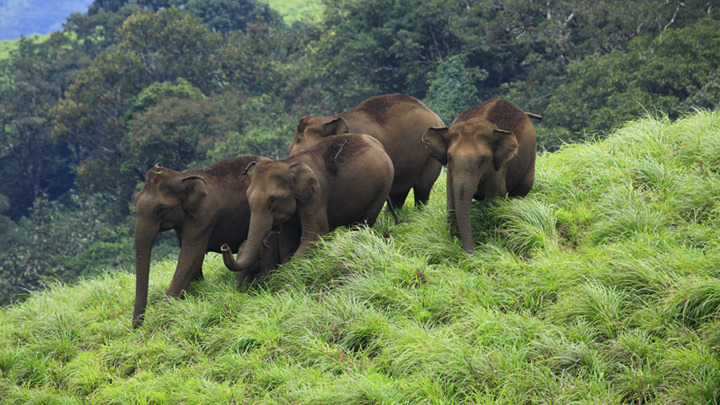 From rare birds flying over Kerala to mischievous monkeys roaming around, to exotic tigers and elephants being taken care of in sanctuaries, animal lovers will enjoy every bit of wildlife here. It’s up to you how you want to spend your time with the animals, but we all know being surrounded by them is already therapeutic enough! The variety of local crops in Kerala is extensive that you’ll have so much to spoil yourself with! Visit tea plantations to learn the process of making them, and if that’s not your cup of tea, you can always indulge in their local produces. From bananas, coconuts, to more exotic fruits such as jackfruit, passion fruit, and guavas, it will be right here that you’d want to learn about fruits you never knew existed! Kerala is also abundant with cinnamon and other spices so make sure you take some home. It was, after all, the capital of spice trade. I saved this for last but it’s actually the most essential factor when I plan my trips. Do they have good cuisine? If the answer is yes, I’m all for it. 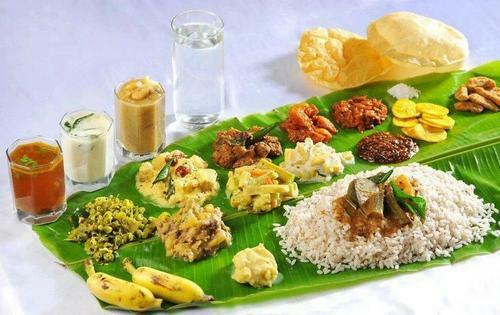 Kerala is in India, and India itself is known worldwide for their strong flavors and unique concoctions. They do not disappoint. 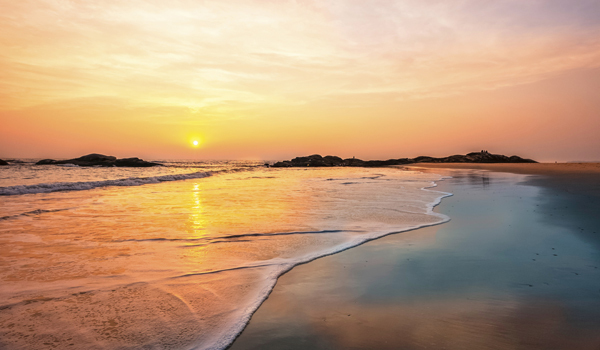 Kerala may be a lesser known destination, but that’s the charm isn’t it? I think it’ll be perfect as a starting point to get you ready for the heart of India. That’s if you need to be eased into it. Either way, there are different Kerala Tour Packages to choose from that will cater to what you enjoy the most. Kerala is bucket list worthy not only for the sights and activities. It’s the culture and the people itself that calls out to me. India is on my travel bucket list too (there are so many amazing places in the country!!! ), but I probably wouldn’t go solo and drag my boyfriend with me. I’m one for adventures, but even a male friend who went there reiterated that it would be 100x more challenging to be a solo female traveler in India. I agree with you, exactly why I’ve been holding off on it. I’m not ready for India yet, especially not alone. Kerala is definitely up on the list though, but I still would rather go with my husband. Thanks for the nice reminder of the diversity of Kerala. The waterways add another element.